When you're living life in the fast lane, you don't have time to dither around at the airport. Book yourself parking at the airport's own Short Stay car park, just 1 minute from the terminal, and you'll get a priority path through security open only to VIPs like you. An airport-run car park, just 1 minute from the terminal! Everyone wants a stress-free parking experience, and this Short Stay car park will give you just that. It's super easy to use, doesn't need transfers and keeps you in control you'll wonder why you hadn't tried it before! When you arrive at the car park, drive up to the barrier and it will automatically read your number plate and lift. The machine will give you a ticket, take it and drive in. Park in a space and just walk to the 1-minute journey to check-in. Keep your ticket with your as well as your keys as you'll need them when you get back. While you're away, your car will stay exactly where you left it; in the airport's secured car park. It's surrounded by a high fence, has staff patrols and 24-hour CCTV and it's won the Park Mark award for its security, so you can be sure your car will be fine. When your plane touches down in the UK, grab your luggage and just walk back to the car park. Your car will be waiting for you in the same place you left it, then you just need to hop in, drive to the barrier, put the ticket into the machine and drive home. Straightforward and simple. Book Short Stay today for a car park within a minute's walk of the terminal and you'll get the best deal available. The car park has a limited number of spaces reserved for Blue Badge holders. These work on a first come first served basis. 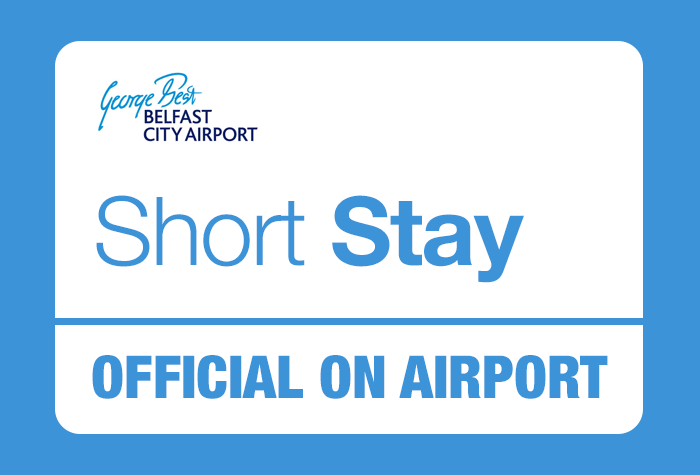 Transfers aren't needed as the car park is a 1-minute walk from the terminal.